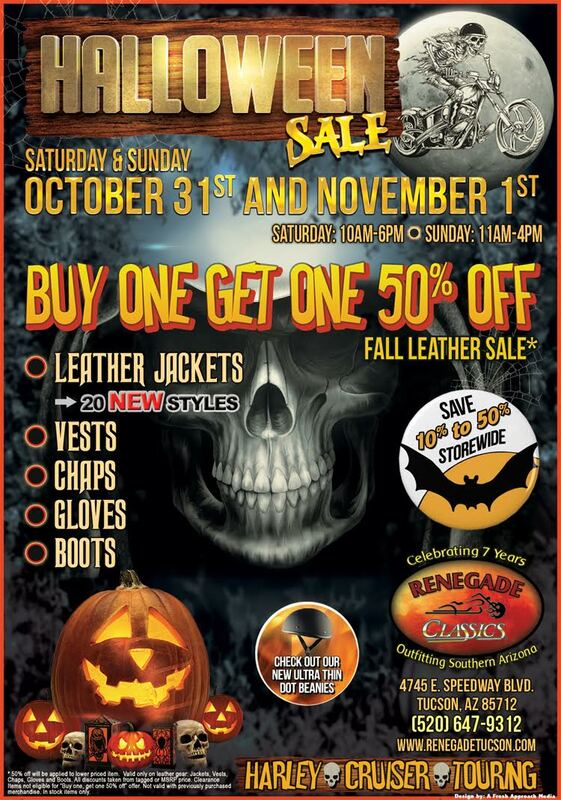 HOME > Biker Pics / HALLOWEEN SCARY SALE IS ON! Oye Oye! 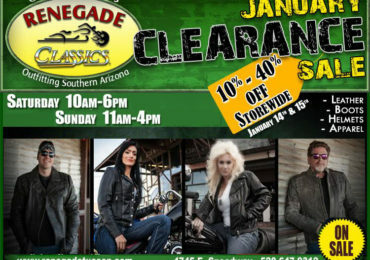 Renegade Classics Halloween Sale is on, Saturday 10/31 from 10 to 6, and Sunday 11/1 from 11 to 4 pm. 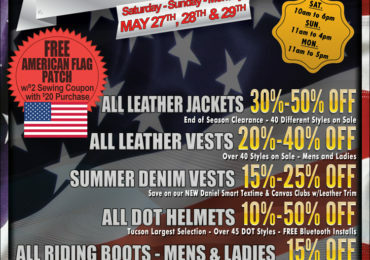 With a very special on Leathers: Jackets, Chaps, Boots, Gloves - Buy One, Get One 50% OFF!